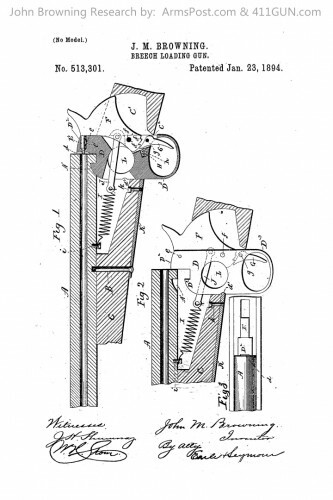 This patent was another of his breech loading gun designs. US Patent 513301 was granted to John Moses Browning on January 23rd, 1894. John Browning applied for this patent on March 31st, 1893.